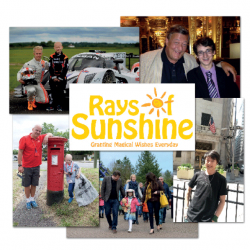 Rays of Sunshine was set up in 2003 to brighten up the lives of seriously ill children across the UK by granting their wishes. Our experienced team of wish coordinators provide a high quality of service supported by a team of volunteers nationwide. We take care of every detail to ensure the family can focus 100% on enjoying the wish. As well as granting wishes our hospital activity programme continues to grow to meet the demand for entertainment and distraction for children receiving long-term treatment. In 2015 we fulfilled 25 hospital ward wishes, and held a further 20 activity events within hospitals. The charity’s work offers a positive distraction and creates eternal memories for the children and their families – and it also provides support to the hospitals and hospices that treat these children. There are currently 49,000 children in the UK living with a serious or terminal illness, many of whom will not reach adulthood. To provide distraction from pain and medical treatment, entertainment and excitement at an otherwise challenging time. 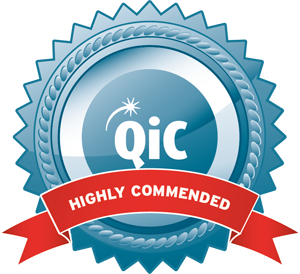 To help improve positive mental attitude to help children cope better with treatment. To offer the opportunity for children to feel ‘normal’ and take part in activities or experiences their healthy peers take for granted. To create memories for the family to cherish.